Lin and Larry Pardey have enthralled and inspired readers of their books and magazine articles for many years. Their writing is all the more inspiring as it is based on a lifetimes experience of building their own boats and cruising the world. 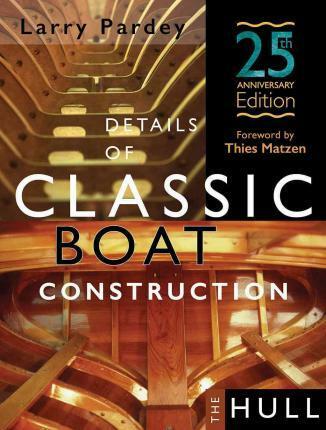 "Details of Classic Boat Construction" by Larry Pardey. This is one of the first books I bought when I started work on Mignonne. Although I wasn’t building from scratch the wealth of detail and information on carvel construction proved to be immensely valuable. The book illustrates with extensive photographs and drawings the process of carvel construction. It also shows that wooden boat building skills can be easily learned by anyone, there is nothing mysterious about them. The updated and expanded version of ‘Details of Classic Boat Construction’ include an important new appendix on the miss-advertising of epoxy adhesives and an introduction to superior, though less expensive glues. This book is used by boatbuilding schools around the world to explain the elements of classic craftsmanship and make these skills accessible to beginning woodworkers. "Cruising in Seraffyn." By Lin and Larry Pardey. 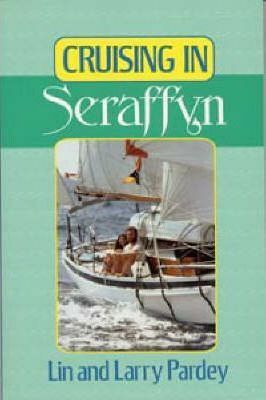 The original ‘Cruising in Seraffyn’ has sold over 50,000 copies in five editions and three languages. This book that launched 50,000 dreams has now undergone a complete refit. It begins with a special introduction, "Anyone Can Go Cruising" and a new appendix called "Affordable Attainable Dreams". And that is what it is all about encouraging and showing others how to ignore the dream crushers and grab hold of the grand opportunities offered by exploring under sail. They have also added a sixteen page full-color album with 35 new photographs for this silver anniversary edition. The pleasures and adventures of cruising under sail are amazingly affordable, say Lin and Larry. But to keep your dreams on budget, financially, emotionally, and timewise, you have to decide - are you a cruiser or a consumer? Topics covered include making your getaway plans to finding a truly affordable boat, keeping your outfitting costs and maintenance time in control, then learning to feel confident as you cruise farther ahead. Their chart of the gear considered necessary by many shoreside experts, compared to that carried by several cost conscious cruisers, will give you a convenient checklist to gauge whether you are buying true necessities or overloading your budget and boat with high-tech items. 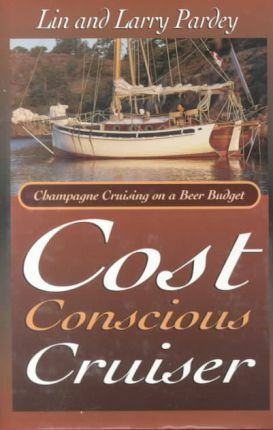 "Written by experienced cruisers (over 30 years) and authors (10 books) ...it is sure to provide answers to important questions about choosing the cruising lifestyle. -Cruising World. Please share your thoughts or comments about what you have just read on this page.